I am not naturally a superstitious man, but League of Legends might be changing that. We all know about the caster curse, and journalists often end up praising a team just before a fall, but how about a t-shirt curse? See, over Christmas I got myself a couple of esports t-shirts: one Fnatic, one KT Rolster. I’m not a fan of either team per se but I wanted to start a collection and these two organisations have some of the best histories in esports. Fine. Great. What has this got to do with anything? Fast forward to opening week for LCK and LEC and I’m wearing my KT t-shirt, hoping for a decent start out of the defending champions of both regions. Indeed, last week I said Fnatic’s were favourites for the LEC title and that they would hit the ground running. 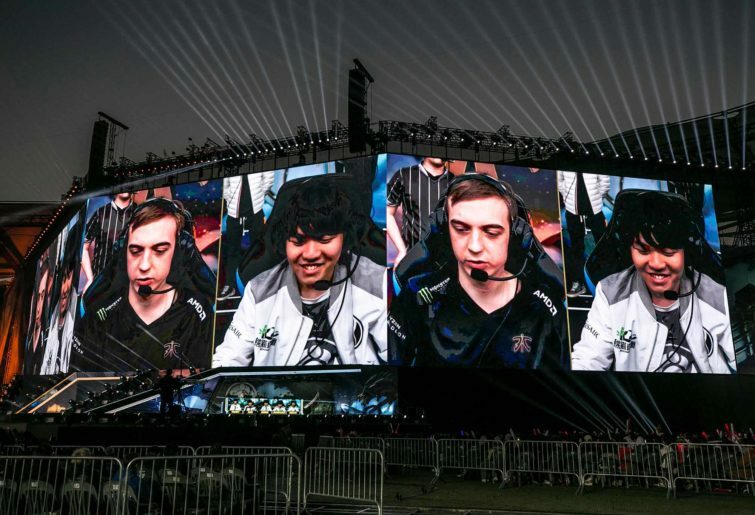 Can TSM work two miracles in a row? Imagine my surprise, then, when both teams started 0-2. The t-shirt curse had claimed its first victims! What other sensible explanation could there be? In reality, KT Rolster’s poor start shouldn’t have been such a surprise. Yes, they are defending LCK champions but they were up against the new hotness in Damwon Gaming. I recently wrote about their rise to fame during the KeSPA Cup and they have already shown that their success there was no fluke, taking down Gen G in their first ever LCK match. A poor start against an upstart team looking to prove itself is a strike against KT’s chances, for sure, but it’s not a damning one. Plenty of teams start slow and what really matters is how you finish. A loss to Hanwa Life, who finished middle of the pack last split and who finished in a dismal 13-19th place in KeSPA Cup is more worrying. It’s still incredibly early, of course, but so far it looks like last year’s theme of the new kids on the block pushing the old-timers out of their way will continue. After taking down KT, HLE went on to steal the dentures right out of the mouths of Afreeca Freecs. All three of Korea’s representatives at Worlds started the season with 0-2 records and only KT Rolster managed to even take a single game. If at least one of KT’s losses was understandable, Fnatic’s were anything but. They even got a second shot at one of them, with admins allowing a re-make after lag affected SK’s dominant opening. The sort-of-newcomers didn’t let the bump stop them, though, and they continued to make Fnatic look like the new team after the restart. SK’s jungler, Selfmade, rightly took a lot of the credit for the win after his stellar performance and game-ending Sejuani ult, but SK looked a step ahead of their more seasoned rivals at every turn. Remember last week when I said I couldn’t get excited about the SK line-up? I was worried after their opening day win over Fnatic, but Misfits restored some of my self-belief. Not only did they annihilate SK, but they also lived up to my billing them as dark horses for the LEC title. Good on ya, Misfits. Worryingly for Fnatic, on the other hand, they did nothing to restore my faith. If anything, they looked worse against Origen than they did against SK. It seems unlikely that the opening-night derby nerves got to them after reaching the final of Worlds just a few months ago, but nothing seemed to click. Broxah did just okay on Lee Sin against SK but he looked absolutely lost on Kha’Zix against OG. Nemesis had a strong debut in a difficult matchup, but floundered against Nukeduck’s counter-pick Vayne in his second game. Hylissang decided to let his evil, feeding twin play for the opening week and Bwipo was underwhelming on both Sion and Urgot. Even Rekkles wasn’t great. He struggled as Ezreal against SK (1/3/6) but did a little better as Jihn against OG (3/1/1). It still wasn’t enough to stop his team from sinking to a 0-2 opener. Again, it’s early days in the LEC and Fnatic didn’t start 2018 particularly brightly either despite going on to win both splits. But League of Legends seasons aren’t particularly long and another 0-2 record in the coming week could spell disaster if Misfits and G2 continue to plough on ahead undefeated. Whatever teething problems the defending champions are facing need to be overcome quickly. They face a tricky tie against Vitality on Friday and follow it up with another one against Schalke on Saturday. Historically, Fnatic has done well against Schalke and about even against Vitality, so the chances of them making a quick recovery are decent. Then again, most people expected them not to start 0-2 in the first place, so we can’t take anything for granted. Lesson Learned on that front. Michael Radford is a long-time esports veteran, with 15 years of experience spanning Counterstrike, League of Legends and many more.